Discounts and quality products & services go hand-in-hand, at least with Club Save. 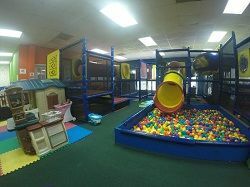 Whether a visitor or a resident, capitalize on this fantastic Kids & Recreational discount of up to 20% off offered by Lil Monkeys Indoor Playground & Cafe, known for their high-quality services and products in the Cayman Islands. Enjoy significant savings using our limited-time discount deal in Cayman. Our hand-picked, exclusive discount deals are updated regularly and ensure you pay less and enjoy more. So, say yes to savings and having fun at the same time!